SEE ADDITIONAL INFO ON FEES, ETC. AT BOTTOM OF PAGE. 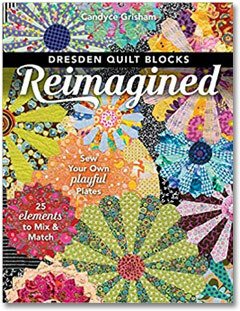 My journey with the Dresden block into the Modern quilt world, art quilts and publishing. 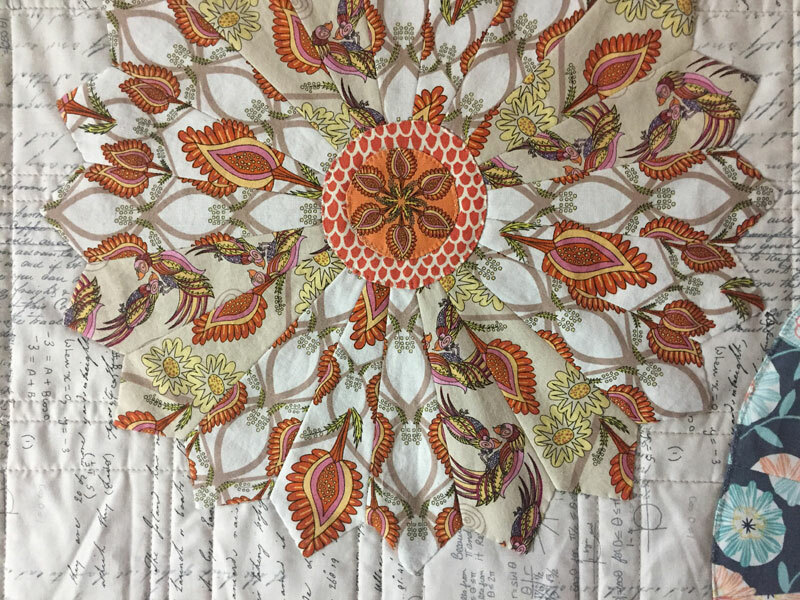 How do you go from a quilt you made to a pattern to a book? Trunk show. All the fun items we use in our sewing rooms that come from the hardware store. Informative and fun. Demonstrations and giveaways. What is the movement about? 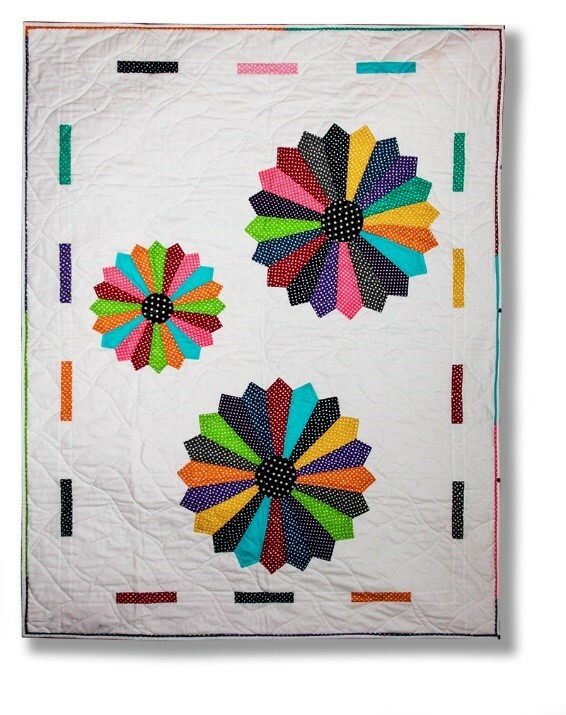 Trunk show demonstrates the new ideas, bright colors, negative space and more. Where does it come from? How do I get it? 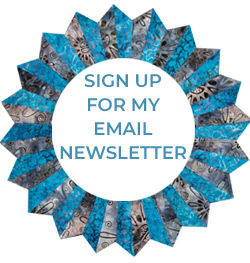 A journey in fiber and concrete ways to improve your creativity. Trunk show. All are for confident beginner and beyond. All require sewing machines, patterns if available, ironing stations. Generally limited to 20 students but can accommodate more with special arrangements. Supply lists provided with contracts. 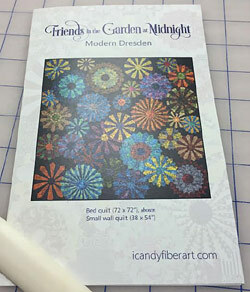 Learn to make the Dresden plate with 5 different finishes. 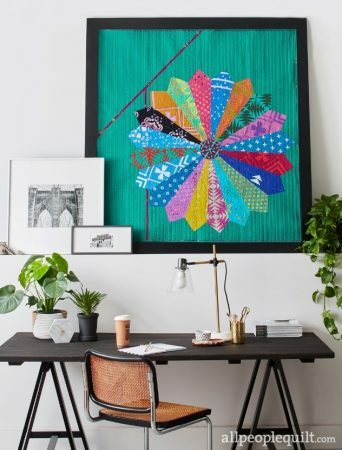 Create a fiber art piece using these wonderful traditional blocks. Requires template and pattern. Learn to accurately piece a log cabin block with variable size logs. 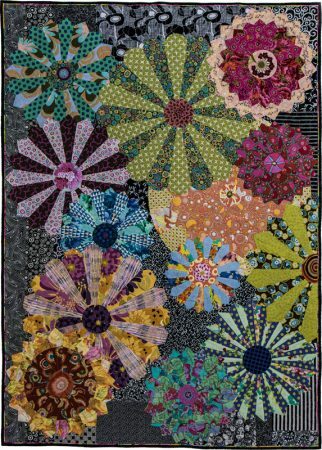 Great for scraps or a planned palette. Any level. 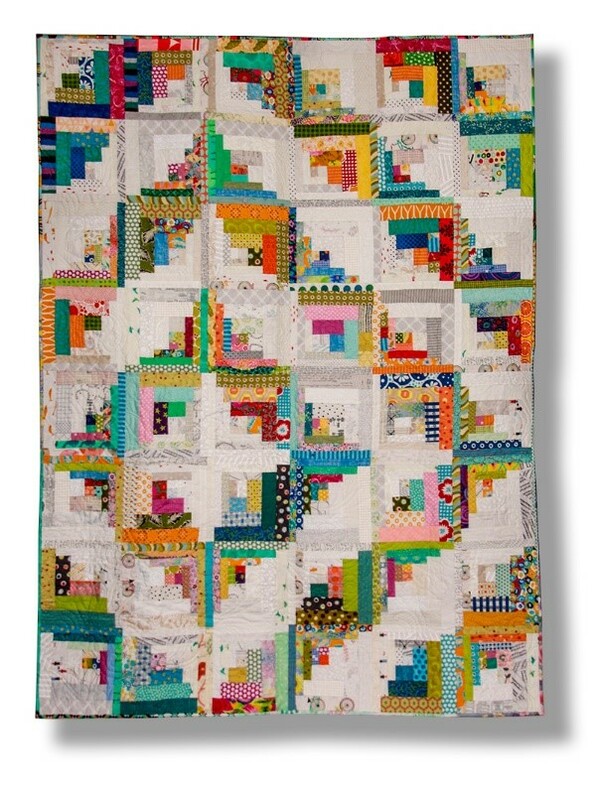 Using a diagonally pieced rectangle create a maze or a modern quit or wall hanging. Very freeing and fun to do. Great with just a couple fabrics. Can be set in several different ways. 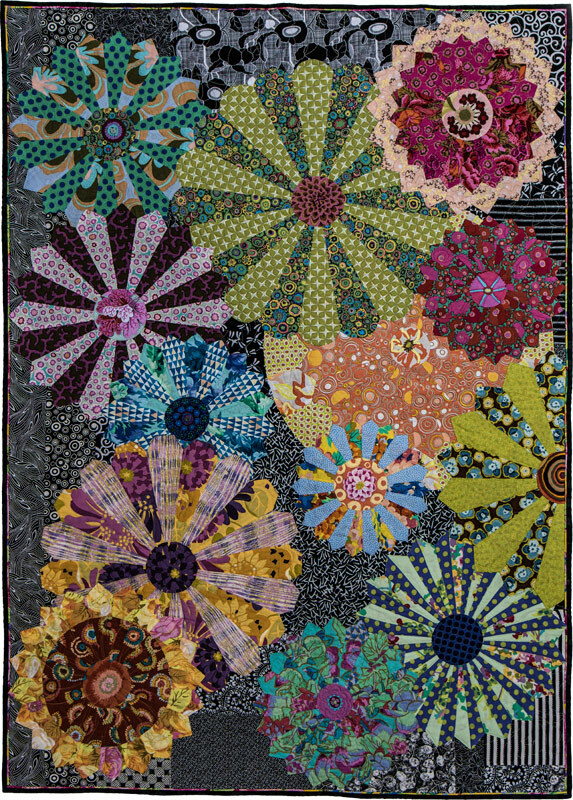 Using the technique created by Maxine Rosenthal learn to create a stunning quilt from one fabric. Although it looks complicated with pieced hexagons it is amazingly simple. Each quilt is unique. 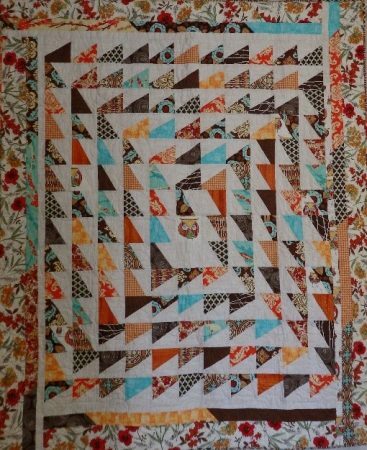 Create a small wall hanging or baby quilt learning to make one of the Dresden edge finishes. 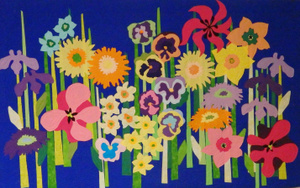 Special borders make it a simple but unique project. Requires template. 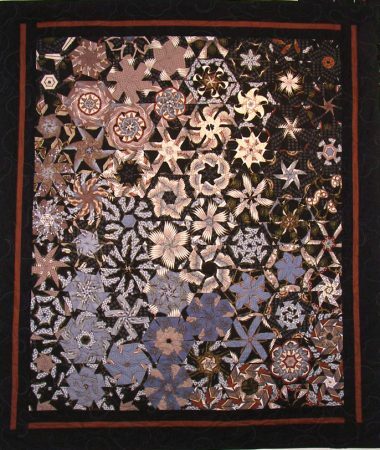 A giant single Dresden plate which can be featured alone or used as the center of a medallion quilt. 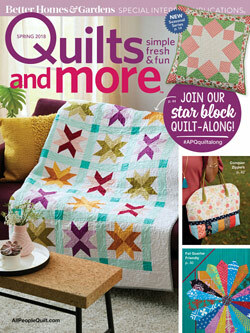 Uses fat quarters and lends itself to fat quarter bundles. Requires Template. Mileage at current IRS rate to and from Washington, MO. If staying overnight lodging in hotel or in member home with own private bedroom and bath. No smoking and sorry no cats. Contract will be sent once dates and workshops/programs are agreed on. All programs are approximately 30-45 minutes and include hands on samples and displays. Projector provided if required. Some programs require viewing space (white wall or screen). Microphone required.